Due to the different compounds and pattern designs of winter tyres in comparison to standard tyres, these should not be mixed on the same vehicle, and so should be fitted as a set. 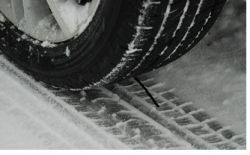 It's also important to note when fitting winter tyres the speed rating may be lower than the standard equivalent. Please call us on 01494-563102 for a quote. "It is very re-assuring to have such an excellent garage on the doorstep."